We'll be announcing our new season on November 12th! The shows have been selected, the directors have been chosen, and the 2018 Season Announcement is almost here! 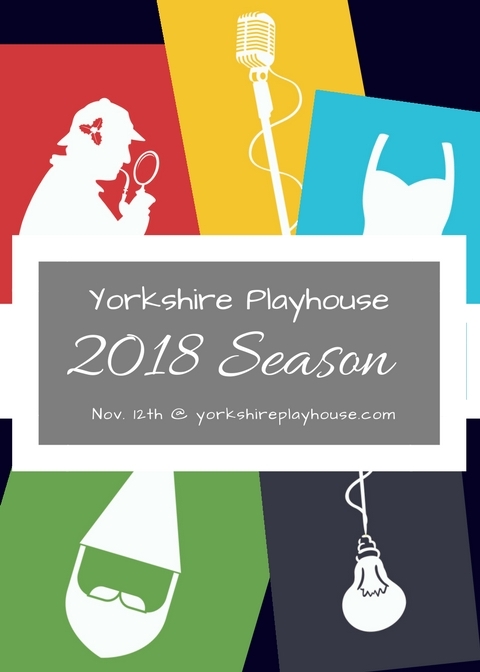 Get the Brochure, check out all the information about the shows right here on our site, and get your Membership for the 2018 Season beginning Nov 12th! Want to receive our Membership Brochure, learn all about our new season, discover the perks of membership, and how to get tickets at the best price available? Fill out the form below.